If you want to go somewhere exotic this summer but don't have the funds, listen up! There are some sneaky ways to find cheap last-minute flights to pretty much anywhere in the world. Just grab a cocktail to get you in the holiday mood, read up on our expert travel hacks and get booking. 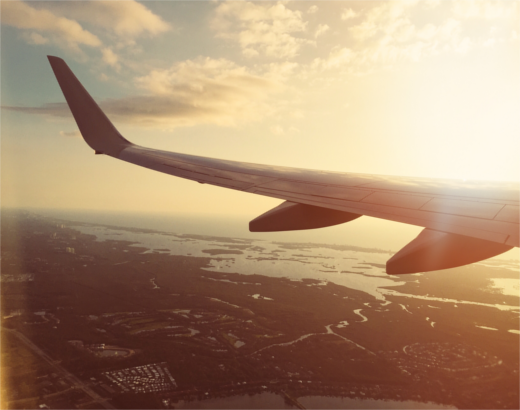 Although it's tempting to go straight to budget airline websites you can sometimes get an even better deal on comparison sites such as SkyScanner or Opodo. If you are slightly more flexible with times you can probably get a cheaper flight on a better airline. When browsing for flights online, make sure you use an incognito window – this means companies can't track what you have been searching. If you go to Google and click the drop down menu on the right you can click "new incognito". Hotel and travel sites have certain cookies on their sites which allows them to track how many times you’ve looked at a certain site and bump up the price if they think you’re interested. Sometimes booking your flights and accommodation together can work out cheaper. Budget travel website Holidaypirate.com has some amazing deals and if you're flexible on location and dates you can nab an absolute bargain. According to CheapAir, the best time to book your plane ticket is exactly 54 days before departure. However, booking at the absolute last minute can also help you nag a bargain. It's a ballsy move and works best outside of the school summer holidays, because airlines will try to fill the plane to capacity and flog tickets on the cheap. If you have to book in the summer holidays, try and hold off until the very end of August and beginning of September. October half term is a great time to book a holiday too and could save you up to 20% over peak season prices. It's often cheaper to fly midweek to midweek rather than at the weekend so if you can be flexible on dates this is a great way bag a bargain. The best way to get a cheap holiday is to be flexible about the destination. If yo venture to a lesser-travelled country you can beat the crowds and the price tags.